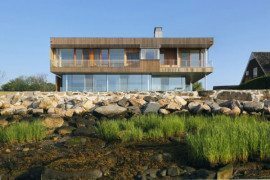 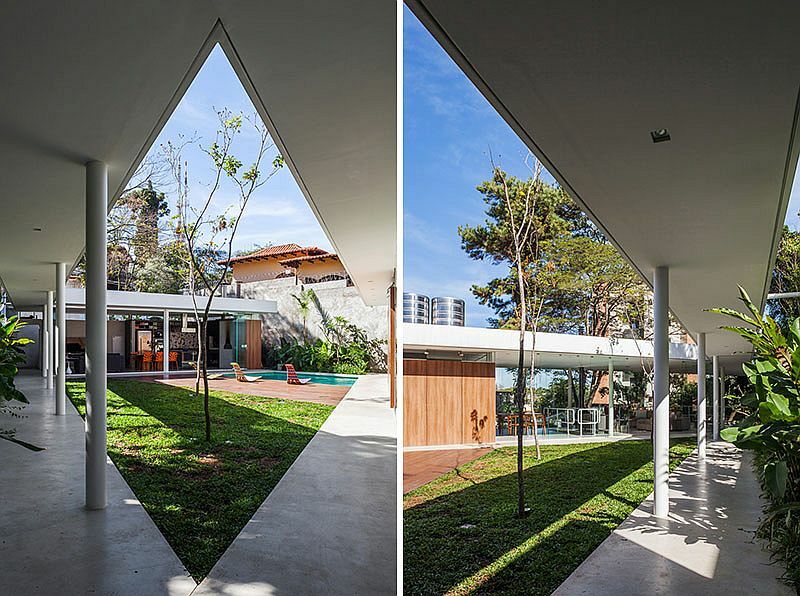 We adore architects that turn the challenges born out of topography into unique opportunities to showcase their creative brilliance. 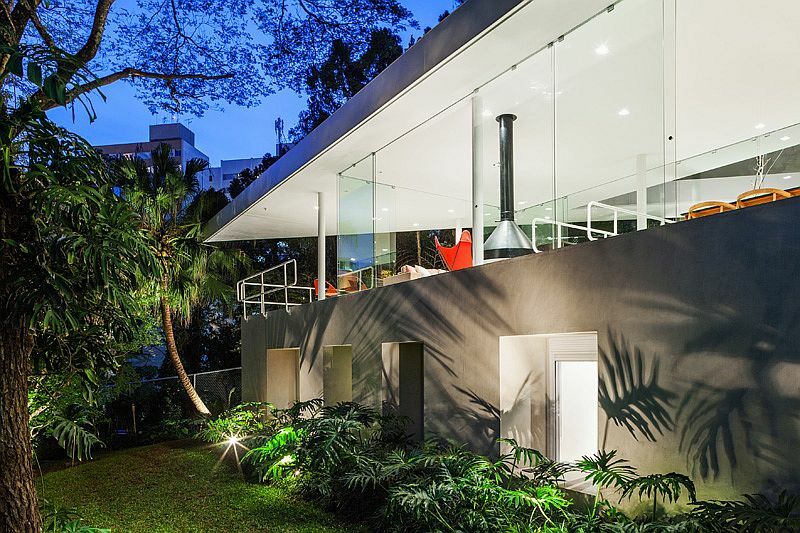 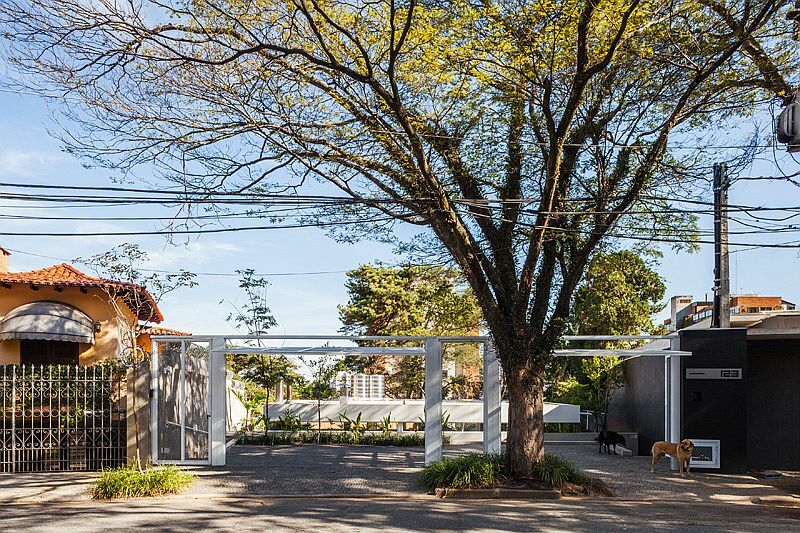 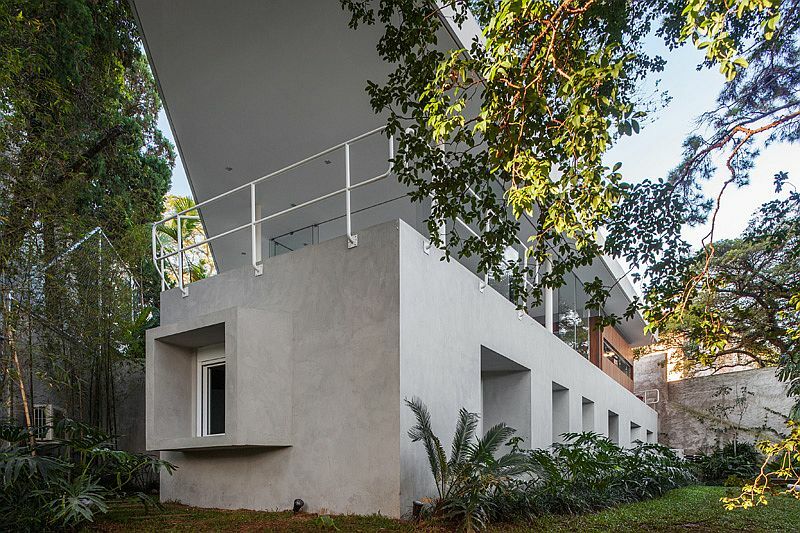 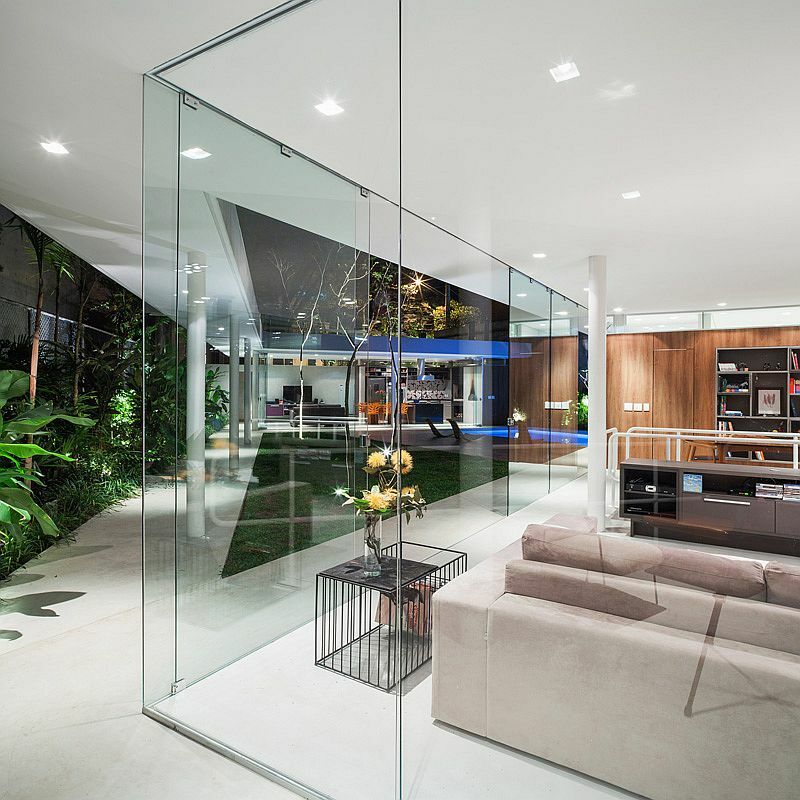 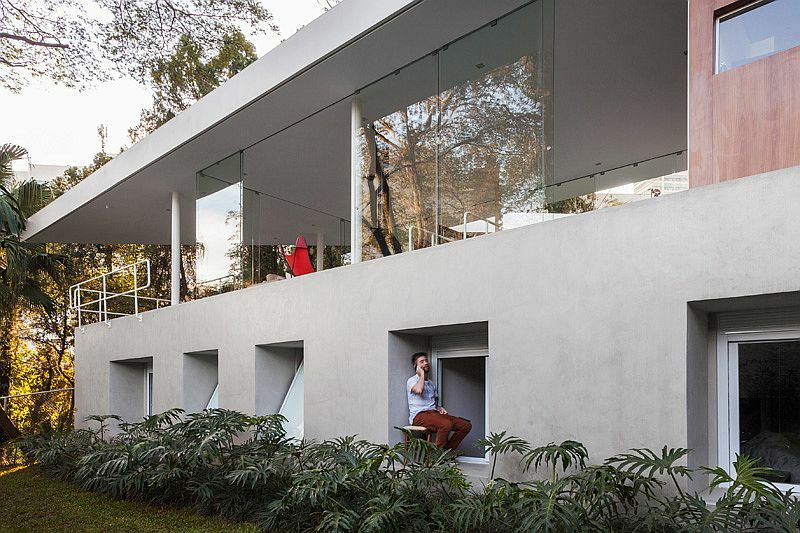 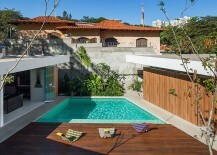 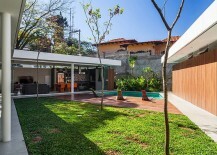 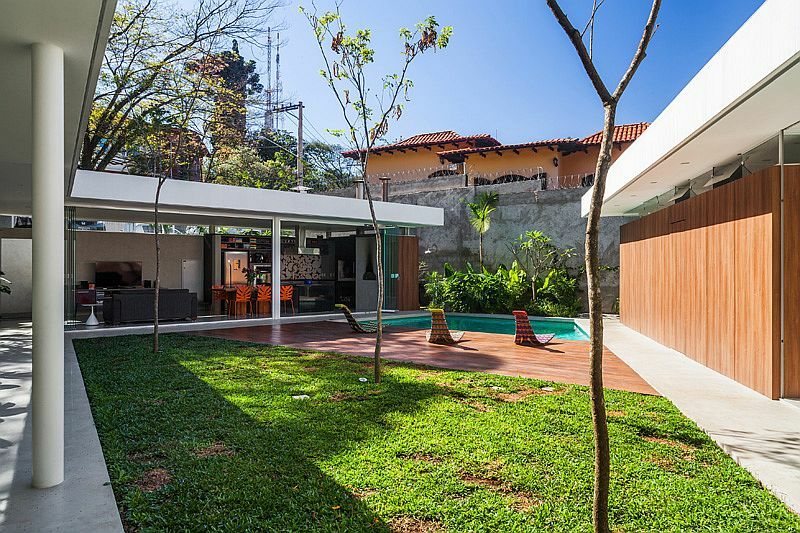 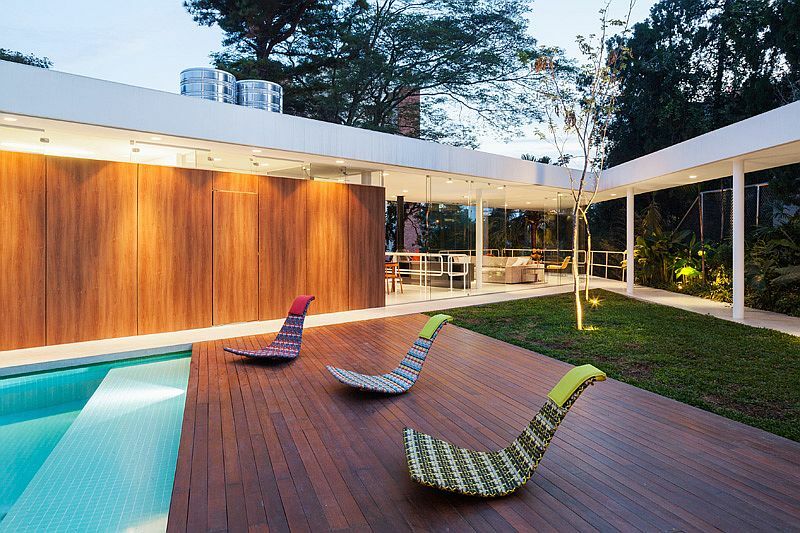 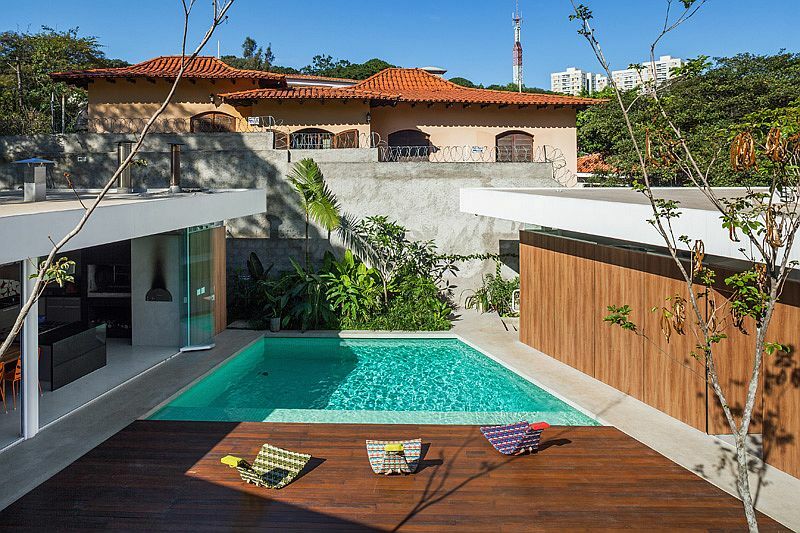 Nestled on a leafy 700-square-meter site in Sao Paulo, the Marquise House by Forte, Gimenes & Marcondes Ferraz Arquitectos does precisely the same, as it uses an open-air, glassy pavilion to connect the interior with the outdoors, even as a stunning, concrete monolith offers both ample privacy and visual contrast. 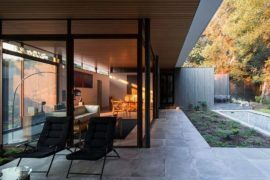 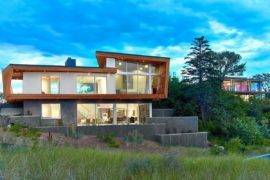 The distinctive design of the residence came about by combining the homeowners’ desire for a multi-generational home that will serve them well for years to come with the vision of the architects that tapped into the 17-degree slope of the lot. 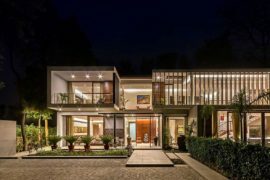 It is the ground level that contains the sparkling, glass-walled central kitchen, dining and living space that flows into the green garden and pool area outside. 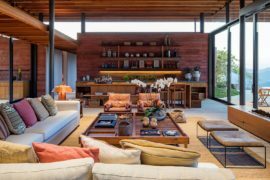 The simple structure of the home ensures that the entire family can enjoy an extended ‘family zone’ while soaking in the sunlight and relishing the multitude of sights and sounds outside. 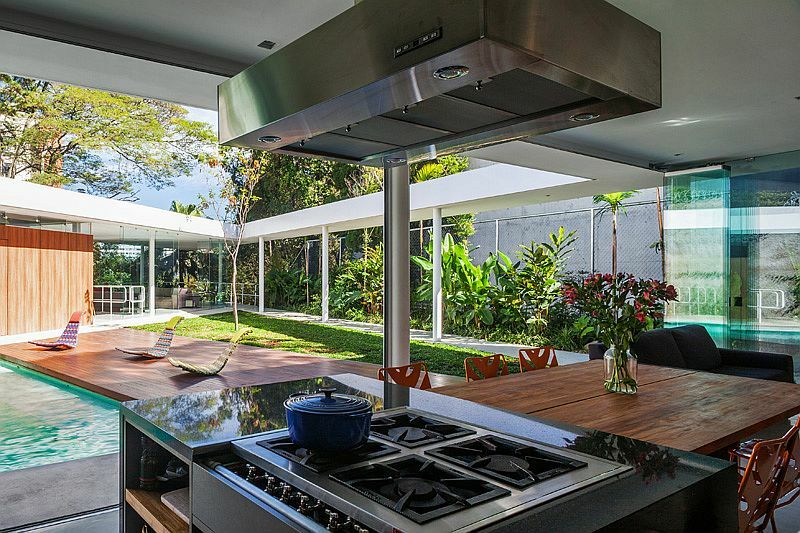 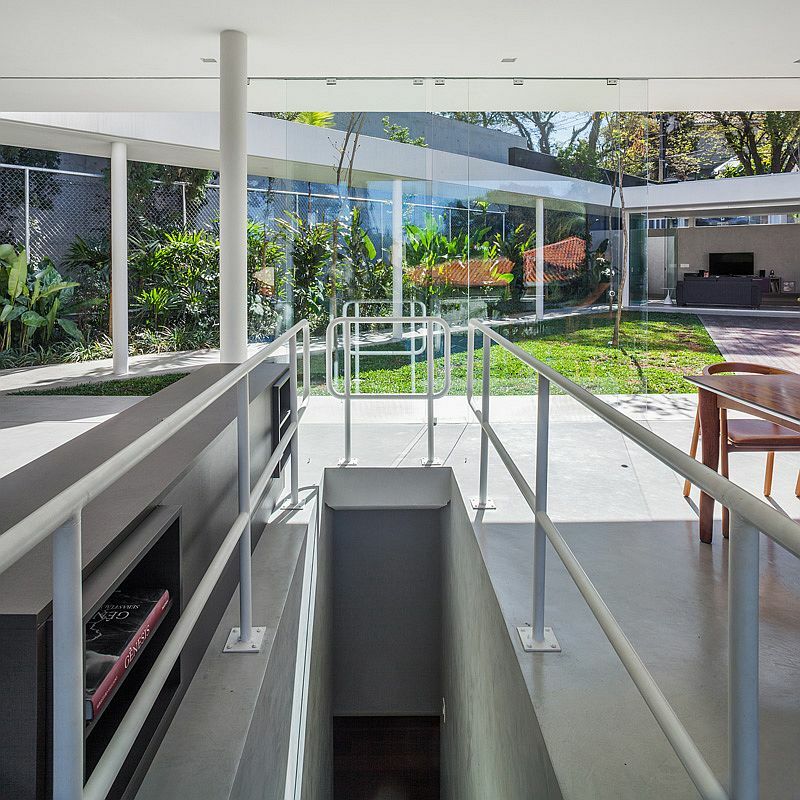 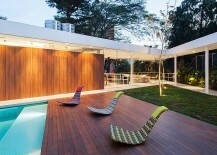 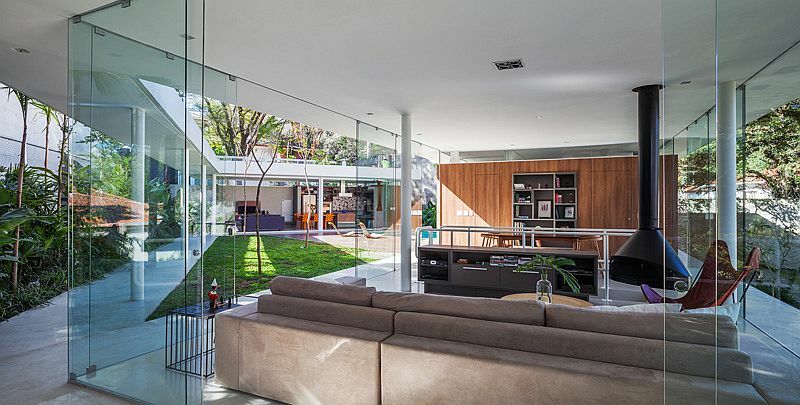 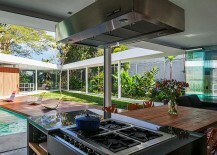 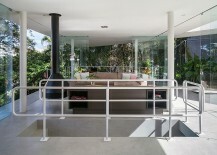 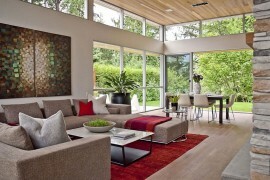 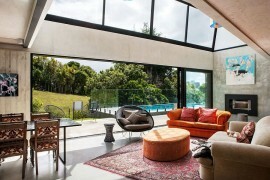 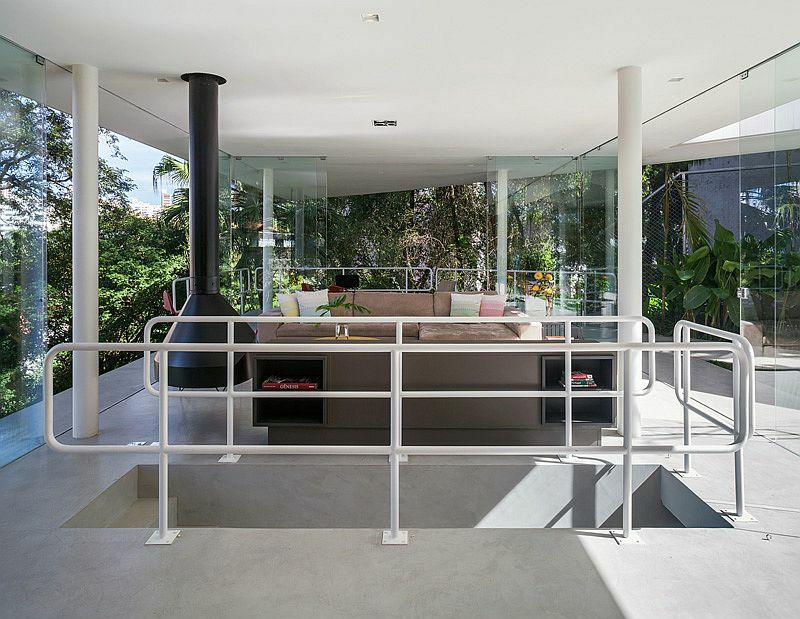 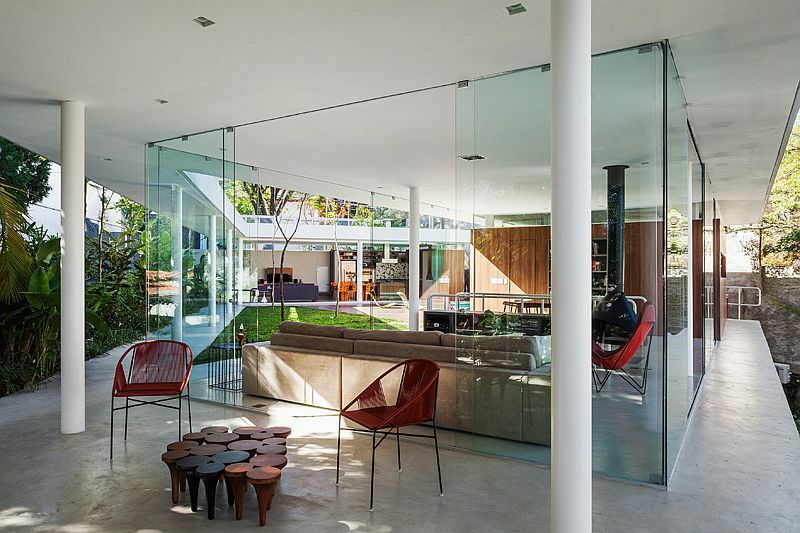 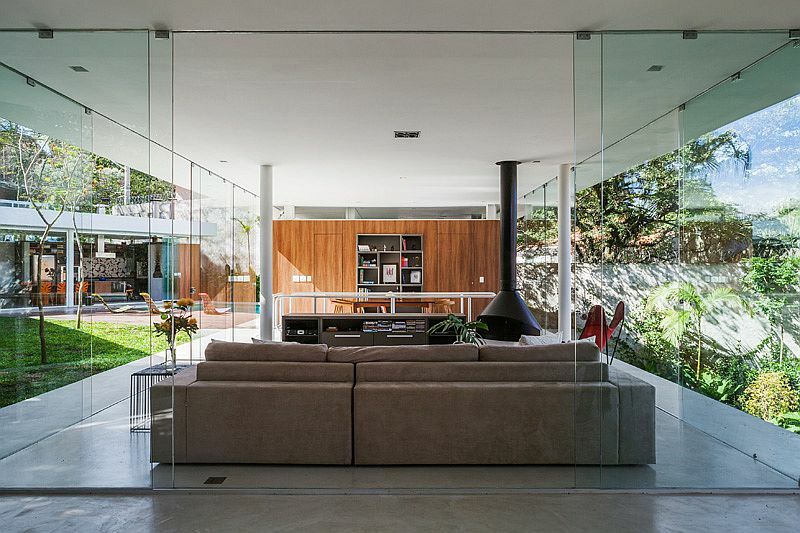 The marquee protects this glass edifice, even while creating shaded walkways between the different wings of the home. 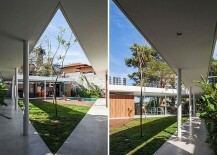 After many conferences, we had noticed the paramount point for the coming years of the house’s usage was the existence of spaces capable of catalyzing the union of the family; the house as a physical realization of the gathering of their children and grandchildren, a sort of physical grounds in which the ever-expanding and dividing family may reunite and commune.